The Peninsula Community Library opened to the public on July 15, 1957, in its temporary location on the stage in the school gymnasium. 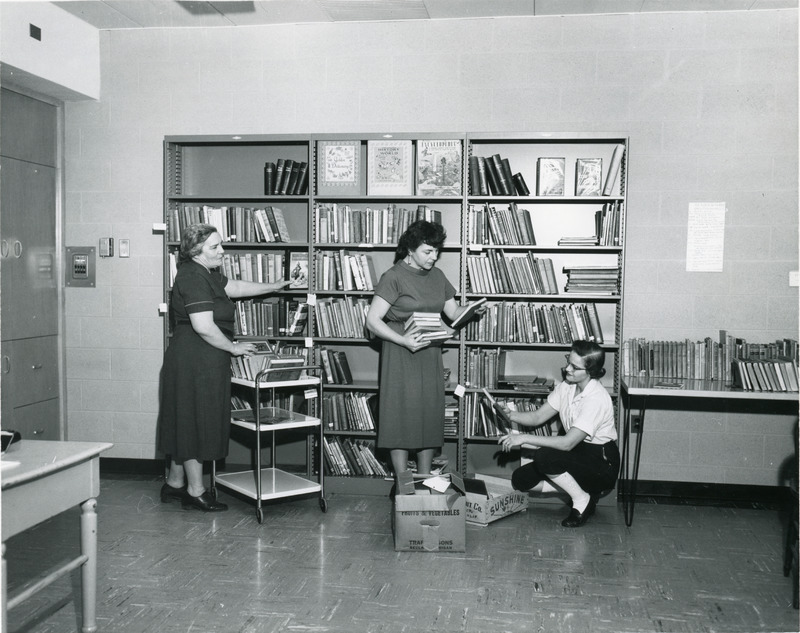 Pictured are library staff, Clarissa Boursaw (left), Virginia Hubbell (center), and Deni Hooper (right). This image may be protected by copyright law. Contact the Peninsula Community Library for permission to reproduce, display or transmit this image. Unknown, “Volunteers and staff of Peninsula Community Library, 1957,” TADL Local History Collection, accessed April 21, 2019, https://localhistory.tadl.org/items/show/1720.